At the end of July 2016, Al-Qaeda’s leadership expressed willingness, for the first time in its history, to sever ties with one of its branches, Al-Nusra Front in Syria. It claimed that unity among the ranks of the mujahideen in the arena of jihad in Syria, and the importance of successful efforts by jihadist factions to defeat the forces of heresy precede all organizational and factional considerations. The decision was made at the senior echelon after long negotiations were carried out between Al-Qaeda and Al-Nusra Front leaders while considering the costs and benefits if such a move. On the surface, it seems that Al-Qaeda lost power in the decision because of, among other reasons, its “loss” of control over Syrian territory. 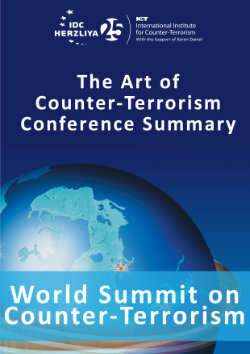 However, in was actually a strategic decision that is likely to serve both its long-term and short-term goals, and perhaps even contribute to a positive image of the organization in the eyes of jihad fighters; to depict it as an organization that is not bound by narrow and utilitarian interests, but rather as an organization with vision, understanding of, and responsibility for what is happening in the field. On July 28, 2016 Ahmad Hasan Abu al-Khayr, the deputy to Al-Qaeda leader, Sheikh Ayman al-Zawahiri, announced that Al-Qaeda’s leadership had thoroughly studied the political and military circumstances in the field, carefully examined the existing difficulties and challenges as well as the suffering that has befallen the Syrian people due to attacks by coalition forces, and reached the conclusion that it would be better to preserve unity among the ranks of the mujahideen and the power of jihad in Syria. Therefore, “We appeal to Al-Nusra Front leadership to continue to act in a way that will preserve the interest of Islam and Muslims, as well as jihad by residents of Al-Sham. We urge them to take the appropriate steps towards this.” Beyond the importance of the announcement itself, this was the first time that the identity of Sheikh Ayman al-Zawahiri’s deputy, Ahmad Hasan Abu al-Khayr, was revealed. Sheikh Ayman al-Zawahiri also made a statement and emphasized that the importance of preserving unity among the ranks in the struggle against “your sectarian secular enemy supported by Shi’ite forces, Russia and China who plotted a conspiracy together with the current Crusader campaign” takes precedence above all else. These events indicate that Al-Qaeda’s leadership has essentially given the “green light” to Al-Nusra Front’s leadership to sever ties with the organization in order to enable it to unite forces with jihadist factions in Syria to focus efforts on overthrowing the Syrian regime. It is important to note that social networks were given an important role in shaping public opinion prior to the announcement about the split. Rumors of an anticipated split were spread on social networks several days before the official announcement, and it may have been considered a test run to examine the mood surrounding such intent. Salafi-jihadist sages in Syria, some of whom belong to Al-Nusra Front, also posted on their Twitter accounts that such a move would contribute greatly to jihad efforts in Syria and to unity among the ranks. For example, a prominent Salafi-jihadist sheikh named 'Abd al-Razzāq al-Mahdī in Syria expressed support for severing ties, as indicated by one of his tweets: “Al-Qaeda is not a holy thing! A connection to it is not a required principle”. Implement Islam according to the principles of shari’a and achieve justice among all of the people. Unite all of the opposition factions in order to focus efforts on liberating Syria and overthrowing the regime and its collaborators. Maintain the passion for jihad in Syria and continue to wage it using all legitimate means. Provide assistance to Muslims, preserve their rights and ease their suffering. Achieve security, stability and life with dignity. The timing of al-Julani’s announcement coincided with the agreement that was signed between the US and Russia to cooperate in the battle against the terrorist organizations, Al-Nusra Front and the Islamic State in Syria. 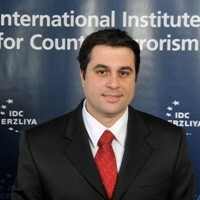 In order to ward off this evil, a considerable effort is being made to change the perception by sending a clear message and political statement to the international community that the organization is no longer involved in terrorism but rather is considered a legitimate opposition organization to Assad’s regime, thereby eliminating international legitimacy to attack it. Pressure from the Gulf States, which do not wish to link themselves to terrorist elements, in light of their support for several jihadist factions in Syria that are allied with Al-Nusra Front. The desire to strengthen the power of the resistance and the struggle against the Assad regime by establishing alliances with additional jihadist factions in Syria and by strengthening ties with existing allies under one umbrella. Al-Julani emphasized in his speech that the split will contribute “to bridging the gaps between mujahideen factions in Al-Sham, and preserving the Syrian revolution and the jihad of the people of Al-Sham”. It is possible that the goal is also expressed in distress and fear in light of the success of enemy forces – namely, the Syrian army, Iranian forces, Hezbollah and the Russian and American Air Forces – in causing many casualties among jihad fighters in the field and the loss of much territory in Aleppo that had been under Al-Nusra Front’s control. The desire to be perceived as a key player and leader in the internal arena in order to influence the design of the new entity to be established on Syrian soil the day after the fall of the Assad regime. According to several analysts, such as 'Abd al-Bari 'Atwan, the split demonstrates the weakness of Al-Nusra Front. They claim that the organization lost its uniqueness, gave up its principles and bowed to external pressure. There is some truth to this claim in light of the resentment felt by some of its members who are not satisfied with the split. There are those who believe that these members may leave the organization and join the rival Islamic State organization. However, as of now, they only account for a small handful of dissenters. Despite this assessment, the announced split was welcomed and praised within the organization as well as by all jihadist factions in Syria, except for the Islamic State. For example, Abdullah al-Mahayni, a prominent Salafi-jihadist sage of Saudi origin in Syria, noted that the severed ties between the organizations effectively removed the last obstacle to achieving unity among the ranks of jihadists in Syria. The split enables Al-Nusra Front to take part in peace talks together with the other jihadist factions in Syria in order to achieve a negotiated political solution in Syria that will restore security under the auspices of Saudi Arabia. In November 2015, Saudi Arabia held peace talks in Riyadh with most Syrian jihadist factions in an effort to find a formula for a ceasefire in Syria. At first, al-Julani expressed willingness to participate in these talks but he reneged on his decision due reluctance on the part of Al-Qaeda leadership’s. Now, with the severing of ties, it has become a viable option. Al-Qaeda proved to its supporters and opponents that it is benevolent and faithful to its vision of establishing an Islamic state in Syria even if it means that it must “pay” the price by losing one of its branches. Moreover, it presented itself in a positive light by attempting to portray the split as consideration for the well-being of Syria’s residents. The announcement of a split between Al-Qaeda and Al-Nusra Front, and the decision to establish a new organization called “The Front for the Liberation of Al-Sham” was, without a doubt, an unusual decision. However, at its base, the new organization remains essentially identical to the previous one. It seems to be only a cosmetic change designed to display a show of tolerance to the West and to discourage attacks against its members. In other words, it is apparent that this is an operative move aimed at achieving short-term and perhaps medium-term goals, including: unity among jihadist factions in Syria and a focus of efforts on overthrowing the Syrian regime. Nevertheless, it is reasonable to assume that the branch will retain its strategic relations to the Al-Qaeda leadership (probably covertly), and the separation itself is only illusory. The severing of ties also presents a complicated challenge for the West since not it must decide whether to continue its offensive operations against the new organization in the framework of the war on terror, or grant it legitimacy by “classifying” it as a legitimate rebel organization against the Assad regime. If the West avoids making a decision on this matter or wrestles with this dilemma for a long period of time, it will be serving the interests of the new organization and of Al-Qaeda. The organization’s doctrine and path are based on the Quran and Sunnah according to the understanding of the ancient ancestors of Islam and righteous sages, including the founders of the four religious schools of thought (Abu Hanifa, al-Shafi’i, Malik and Ibn Hanbal). One must fight against the enemy who seeks to suppress the religion and degrade the dignity of Muslims. One must fight for the sake of implementing shari’a and upholding the religion of Allah in practice. One must wage jihad in the way of the Sunnah and in accordance with the religion and shari’a, and in the path of the Prophet Muhammad. One must remove the oppressor from all of the oppressed whether they are Muslims or infidels. One must treat people with understanding and respect, and to expose them to Allah’s message peacefully and using soft words. The sages of the Muslim Nation must be respected and admired. One must display loyalty to the Muslim Brotherhood, while displaying hostility to the infidels and renouncing them. One must avoid rifts and disagreements, and instead strive for unity and consensus among the nation in general, and among the mujahideen in particular, under one banner. One must be sure that the words of God are the source of authority for each and every person, through actions, propaganda, money and more. The statements by al-Khayr and al-Zawahiri were published by Al-Manara Al-Bayda (the White Minaret), Al-Nusra Front’s jihadist media institution. Jabhat Fateh al-Sham - Did Jabhat al-Nusra Split from Al-Qaeda?